It’s officially Summer in the City of Chicago which means its time for the all of the great Summerfest’s around the City of Chicago. 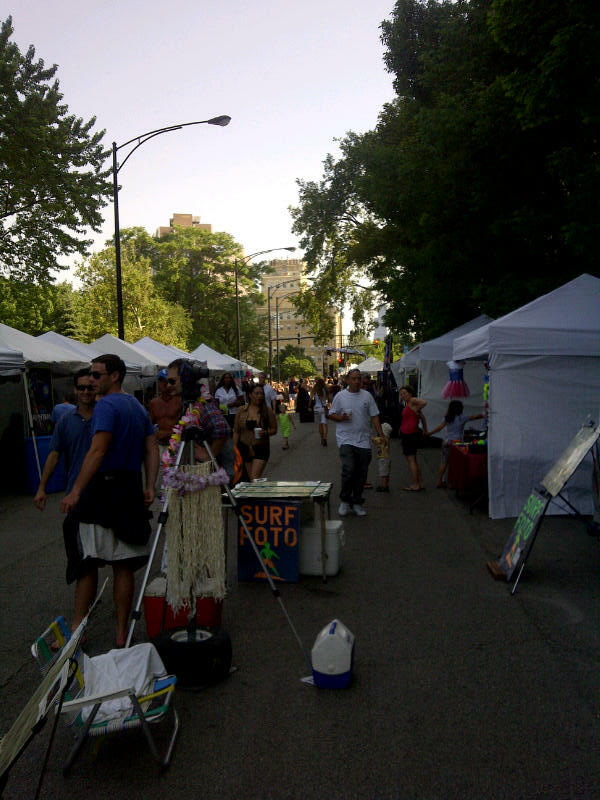 During the weekend of June 23-June 24, Clark Street Sports had a place at the Lincoln Park Summerfest and below are a few pictures from this weekend’s event. 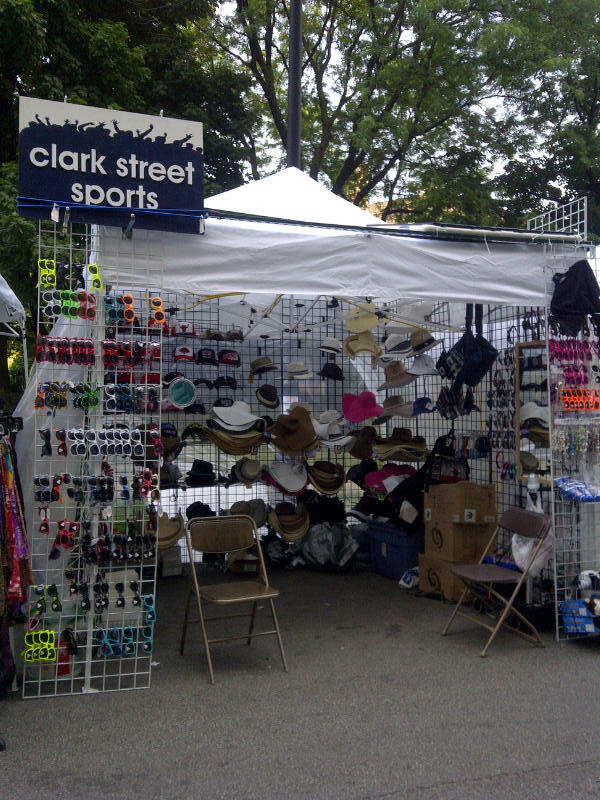 Make sure to look out for Clark Street Sports at other fest’s throughout the summer. Make sure to order Merchandise of your favorite MLB teams before the All-Star Game so your ready for the Mid-Summer Classic. At Clark Street Sports, we sell Hats, Jackets, Jerseys, Sweatshirts and T-Shirts of each MLB Team. Our customers have the option of personalizing their own t-shirt and jersey or creating merchandise with no name or number on the back. There’s a great variety of merchandise to choose from so make sure you order your MLB products before All-Star Weekend is here. With the end of the NBA Season almost here and both the NBA Draft and Start of Free Agency just around the corner, I felt its a good time to predict where I feel a few NBA Free Agents will sign this offseason. Here’s the top NBA Free Agents and listed next to their name is who I feel they’ll sign with in the next few weeks. 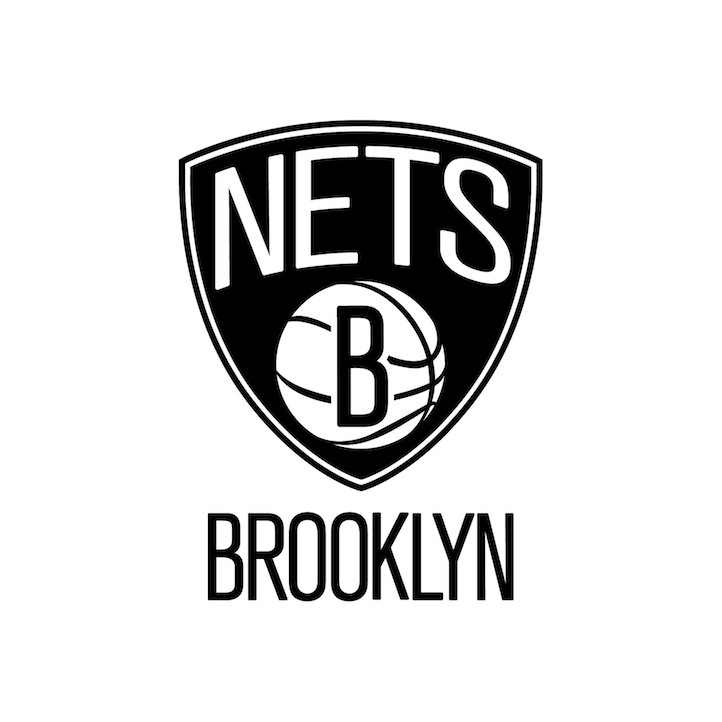 Deron Williams: (Brooklyn Nets): Deron Williams has a few different options to choose from which include: resigning with the Nets, or leaving via free agency and signing with either the Dallas Mavericks or Portland Trail Blazers. If Williams were to leave and sign with one of another team, he would play alongside one of the best Power Forwards in the league in LaMarcus Aldridge or Dirk Nowitzki. 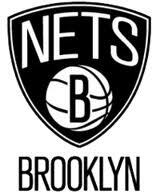 As good as those options sound, in the end I feel the Nets and Magic will work out a trade for Center Dwight Howard, and Williams will eventually resign with the Brooklyn Nets (it will take a few weeks). Once Dwight Howard is on board, I feel the Nets will feature one of the best 1-2 duo’s in the NBA. 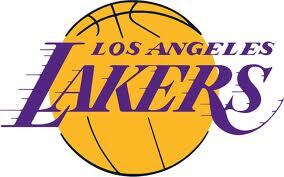 Steve Nash: (LA Lakers): Once again, were left with asking the question… where will Steve Nash play next year. Nash has a number of options which include staying with the Suns or leaving for via free agency for a number of different places which includes: Dallas, Los Angeles (Lakers), Chicago (and fill in while Derrick Rose is hurt), New York (if they decided to trade Jeremy Lin), or Miami. In the end, I feel Nash will want to sign with a Title Contender, so I feel he’ll leave the Suns and sign with the Lakers. So why do I feel Steve Nash will sign with one of his biggest rivals: because the Lakers have needed a solid Point Guard for the past few years, and its greatly hurt them in their last 2 playoff series. The Ramon Sessions trade didn’t work and the Lakers know they’ll need a player that can fit in with both Kobe Bryant and Andrew Bynum. I feel Pau Gasol will be traded this offseason which will allow the Lakers to acquire additional depth to their backcourt. Jason Kidd: (Chicago Bulls): The future Hall-of-Famer has had a fantastic career and I still feel he can still contribute to a Championship caliber team. There are a few different options that Kidd has to sign with which include Brooklyn, Chicago, New York, Dallas, and both LA teams (Clippers or Lakers) but in the end I feel he’ll sign with the Bulls. Why? Because Kidd would be able to slowly learn what its like to come off the bench and when Rose returns to the Bulls lineup, Kidd would be able to slide over and play a little 2-Guard in the Bulls lineup. With that said, the Bulls would be able to have 2 reliable Ball-Handlers on the court at times to play alongside one of the best passing guards. Signing Jason Kidd would allow Derrick Rose to learn from one of the best passers in the history of this sport. Raymond Felton: (Portland Trail Blazers): Its been rumored that the teams most interested in signing Raymond Felton are Portland, New York, Phoenix, and Brooklyn. With Jeremy Lin still on the Knicks roster and Deron Williams resigning with the Nets (just my feeling), I feel it’ll come down to the Blazers and Suns who will be most interested in signing Raymond Felton. Felton had an ok 2011-2012 season (11.4 points and 6.5 assists) but I still feel he’s one of the most underrated players in the NBA and can help a team both next year and beyond. Ray Allen: (Miami Heat): It seems like both the Celtics and Ray Allen are ready to start over and move on. Boston should have Avery Bradley back at the start of the next season as he’ll provide them the defense and athleticism they desperately missed in the Eastern Conference Finals. As for Allen, it seems like he wants to go to a team that’s a Championship contender so he can end his career on top. With that said, I feel there’s only two options for him to choose from: Oklahoma City or Miami and in the end I feel he’ll chose the Miami Heat. Gerald Wallace: (New Orleans Hornets): Not that many teams have a significant amount of cap space, but one team that does have a lot of cap space is the New Orleans Hornets. The Hornets have 2 top 10 picks (including the Number 1 overall pick) however, they still need a few veterans who can help help out their younger core of players. With Anthony Davis, another top 10 pick, Eric Gordon, Al-Farouq Aminu, and Gustavo Ayon, on their roster, the Hornets could use a veteran that plays both side of the court and doesn’t give up on plays and Gerald Wallace would be the perfect player to help with the future of their franchise. 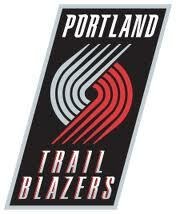 Nic Batum: (Portland Trail Blazers): It seems like new Blazers GM Neal Olshey feels that forwards Nic Batum and All-Star Lamarcus Aldridge can create a nice core in the Pacific Northwest and with only a few teams featuring significant cap space this off-season, I feel Nic Batum will look at all his options and in the end will resign with the Portland Trail Blazers. At age 23, Batum had his best season (13.9 points and 4.6 rebounds) and it seems like he’s about to become a All-Star caliber forward in the next few years. Kevin Garnett: (Boston Celtics): I feel Kevin Garnett is deciding between 2 different options: Retirement or resigning with the Celtics. At 36 and this late in his career, I don’t feel KG wants to start over with another team and learn a entire new offense. In the end I feel Garnett will look at the Celtics and see there not as far off as people are making it seem they are as they’ll get Avery Bradley (and hopefully Jeff Green) back, in addition to 2 First Round Draft Picks. It seems like Garnett’s not ready quite ready to retire after last years playoffs. Roy Hibbert: (Indiana Pacers): There’s only a limited number of teams that have “legitimate big men” on their roster and the Pacers are fortunate enough to have one of them on their roster in Roy Hibbert. Hibbert set career highs in points (12.8), rebounds (8.8), and blocks (2) and in February he made his first NBA All-Star Game. With the Pacers already featuring such a good young core (and having such a low payroll), I feel Indiana will resign Hibbert and make him one of their core players on their roster. The second Crosstown Series is here and with the Cubs win last night, they have shown that there ready to play a different brand of baseball. To prepare for the next two Cubs-White Sox games, make sure you pick up your merchandise at our Clark Street Sports Locations throughout Illinois and Indiana along with our online store: (http://www.clarkstreetsports.com/) Below are a few of the items that will prepare you for the next two Cubs vs. White Sox matchups. Can a Team Win a NBA Championship Without One of the Top Players of All-Time on Their Roster? Before answering this question, I felt I should look at the past champions and examine if any of the past champions didn’t include one of the best players of All-Time on their roster. Since the First NBA Championship was awarded in 1950, I decided to start this list from 1950 and not 1947 when the league was called the BAA. Four of the first 5 NBA Champions were the Minneapolis Lakers (now the LA Lakers) and featured the first dominant big man in Hall-Of-Famer George Mikan along with fellow Hall-Of-Famers Slater Martin, Vern Mikkelsen, and Jim Pollard. The 1955 NBA Champions (Syracuse Nationals which would turn into the Philadelphia 76ers a few years later) only had one Hall-Of-Famer (Dolph Schayes), but Schayes is thought of as one of the best Power-Forwards/Centers of All-Time. In 1956, the Philadelphia Warriors, (which later became the Golden State Warriors) featured two Hall-Of-Famers in Paul Arizin (one of the best guards of All-Time) and Neil Johnston. 11 0f the next 13 Titles (1957, 1959-1966 and 1968-1969) were won by the Boston Celtics and those teams featured the best center of all time (Bill Russell), one of the best point guards ever (Bob Cousy), along with fellow Hall-Of-Famers Tom Heinsohn, Bill Sharman, Sam Jones, Frank Ramsey, KC Jones, and John Havlicek. The 1958 NBA Champions (St. Louis Hawks, which are now the Atlanta Hawks) featured another one of the best big men of All-Time in Bob Pettit, along with fellow Hall-Of-Famers Ed Macauley, Cliff Hagan, and Slater Martin. The 1967 NBA Champions (Philadelphia 76ers) featured one of the best players of All Time (Wilt Chamberlain) to go along with 3 other Hall-Of-Famers in Hal Greer, Chet Walker, and Billy Cunningham. The 1970 and 1973 NBA Champions (New York Knicks) also featured a number of Hall-Of-Famers in Walt Frazier, Bill Bradley, Dave DeBusschere, Earl Monroe, Jerry Lucas, and 2-Times Finals MVP Willis Reed. The 1971 NBA Champions (Milwaukee Bucks) featured 2 of the top 10 NBA Players of All-Time in Oscar Robertson and Kareem Abdul-Jabbar. Like the 1971 Bucks, the 1972 NBA Champion LA Lakers featured 2 of the top 10 Players of All-Time in Wilt Chamberlain and Jerry West along with fellow Hall-Of-Famer Gail Goodrich. 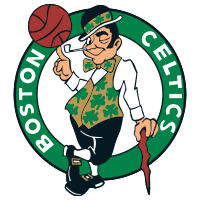 The 1974 and 1976 NBA Champions (Boston Celtics) has a roster that included two Hall-Of-Famers in John Havlicek and Dave Cowens. 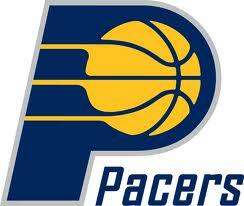 The 1975 NBA Champions (Golden State Warriors) featured two Hall-Of-Famers in Rick Barry and Jamaal Wilkes. The 1979 NBA Championship was won by the Seattle SuperSonics as they only had one Hall-Of-Famer (Dennis Johnson) and no “Super Stars” on their roster. The Lakers won 5 Championships throughout the 1980’s (1980, 1982, 1985, 1987, and 1988) and had a number of Hall-Of-Famers on their roster which included Magic Johnson, Kareem Abdul-Jabbar, Jamaal Wilkes, and James Worthy. Like the Lakers, the Celtics won a number of Championships (3: 1981, 1984, 1986) throughout the 1980’s and had a numerous Hall-Of-Famers which included: Larry Bird, Kevin Mchale, Robert Parish, Tiny Archibald and Dennis Johnson. The 1983 NBA Champions (Philadelphia 76ers), had a roster that included a few Hall-Of-Famers Julius Erving and Moses Malone. 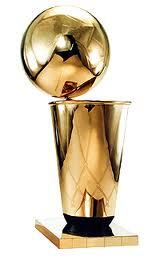 The next 5 NBA Championships were won by either the Lakers or Celtics. In 1989 and 1990 NBA Championships were won by the Detroit Pistons and roster include three Hall-Of-Famers in Isiah Thomas, Joe Dumars, and Dennis Rodman. After 1990, the Chicago Bulls won 6 of the next 8 NBA Championships and their roster included the best player of All-Time (Michael Jordan) along with fellow Hall-Of-Famers Scottie Pippen, and Dennis Rodman. In 1994 and 1995, the Houston Rockets won Back-To-Back NBA Championships and for one of their Championships (1994), they only had One Hall-Of-Famer in Hakeem Olajuwon (the Rockets traded for Hall-Of-Famer Clyde Drexler midway through the 1994-1995 NBA Season). From 1999 until 2007, the Spurs won 4 Championships (1999, 2003, 2005, 2007) and featured a number of either Hall-Of-Famers or Future Hall-Of-Famers in David Robinson (in the Hall-Of-Fame), Tim Duncan, Tony Parker, and possibly Manu Ginobili. Like the Spurs, the Lakers also won a number of Championships during the 2000’s (2000, 2001, 2002, 2009, 2010) and had a number of Future Hall-Of-Famers in Kobe Bryant, Shaquille O’Neal, Pau Gasol, and possibly Andrew Bynum. The 2004 Detroit Pistons might become the first and only NBA Team to win a championship without 1 Hall-Of-Famer on their Roster. The Pistons had an excellent starting lineup which included Chauncey Billups (who has the best chance at Making the Hall-Of-Fame), Richard Hamilton, Tayshaun Prince, Rasheed Wallace, and Ben Wallace (who also has a chance at making the Hall-Of-Fame in the future). As good as those players were, I’m not sure anyone on their roster will make the Hall-Of-Fame. 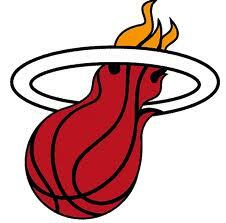 The 2006 Miami Heat roster had 3 Future Hall-Of-Famers in leaders Dwyane Wade and Shaquille O’Neal along with Gary Payton. The Boston Celtics won the 2008 NBA Title and featured a roster that included 3 for sure Hall-Of-Famers in Paul Pierce, Kevin Garnett, and Ray Allen along with Rajon Rondo who is on track to make the Hall-Of-Fame in the future. Finally, in 2011, the Dallas Mavericks won the NBA Championship and had a roster that included 2 future Hall-Of-Famers in Dirk Nowitzki and Jason Kidd. So in the end, do you need a “Super-Star” to win a NBA Championship? In most cases yes but there have been a few exceptions to the rule (1951, 1977, 1979, 2004). Can you win a title with only 1 Super Star? Absolutely. Though a number of NBA champions have had two or three Super Stars on their roster, there have been plenty of teams that have gone on to win a Championship with only 1 Super Star and a lot of very good role players (1955, 1956, 1994, 2011 just to name a few). So in the end, I feel its important to have at-least one Super Star, and then you can build from there with either other elite players or a roster filled with a very good sporting cast. The point guard golden era is upon us as I feel there are currently 5 elite point guards to go along with other talented point guards currently in the NBA. I waned to start out by discussing the other great point guards that just missed making the Top 5 point guard currently in the NBA list. There’s one requirement that each play needs to meet for a player to be apart of this list: they need to have played in at least one full NBA seasons and started at least 82 games in their career (equivalent to one NBA season). (That means you won’t see Jeremy Lin, Ricky Rubio, or Kyrie Irving on this list). Tony Parker: In any other era, Tony Parker would have made this list but with such great point guard depth, Tony just misses making my top 5 list and in is apart of the second tier of point guards. Parker’s now the best player on a very good Spurs team (24-10) and averaging a career high in assists (8.1) and is recording his second highest points per game total of his career (19.4). Steve Nash: At 38 years old, Steve Nash is leading the NBA in assists per game (averaging 10.9) even though the Suns have surround him with a roster filled with limited talent. Nothing against the rest of Nash’s other Suns teammates but if you don’t believe what said in the sentence above, try naming four other Suns on their 2011-2012 roster (FYI it’s not as easy as it sounds). Most 38-year-old NBA players are starting the downfall of their career’s but Nash is showing otherwise as he’s been great for an awful Suns team. Kyle Lowry: Quietly without any fanfare, Kyle Lowry has had an All-Star caliber year averaging 15.6 points per game to go along with 7.6 assists per game. Its taken Lowry a few years to find the suitable system for his style (he’s in his 5th NBA season) but now playing in Kevin McHale’s offense, he’s become one of the most underrated players in the NBA. 5. Rajon Rondo:The Celtics might feature the big 3 but currently Rondo’s the best and most important player on the Celtics. Rondo’s by far the best defensive point guard in the NBA (averaging almost 2 steals per game for his career) and is one of the smartest players in the entire league as shown in the way he see’s the court. Rajon is the only player currently in the NBA to have more than one triple-double this year (2) and without him the Celtics offense looks lost and confused. At the same time Rondo won’t move up on this list because he’s one of the worst free-throw shooters in the league (61.5%) and doesn’t have much of a good jump shoot. 4. Russell Westbrook: In addition to being the most athletic point guard in the NBA Westbrook is one of the best scoring (23.5 points per game) and offensive rebounding point guards in the league (1.4 per game). Westbrook is shooting 47% from the field and scoring 23.5 points per game while still being of the top rebound guards in the NBA (averaging 4.8 per game). Though Russell Westbrook is a great player, I feel it will be difficult for him to pass Rose or Paul as one of the top two point guards in the NBA because he’s not even the best player on his own team (Durant) and is averaging only 5.5 assists from the point guard position. 3. Deron Williams: The only bright spot on the Nets this year has come from 3-time All-Star point guard Deron Williams as he’s averaged (22.2 points per game to go along with 8.2 assists and 3 rebounds per game). Williams has shown he’s a solid 3-point shooter (37%) and has helped the Nets have a few nice road victories (Bulls and Knicks) as the rest of the Nets team has had a few problems when Williams wasn’t on the floor. Some might wonder why Williams isn’t higher on this list. I feel he shouldn’t be higher on this list because he’s only reached past the second round once (the year Dallas was upset by 8th seeded Warriors) and has shown he’s a great player that needs help. If Deron and Dwight do decide to play together, they could become a strong duo in the NBA. 2. Chris Paul: Derrick Rose is a great player, but Chris Paul should be named ahead of Rose as a member of the 2012 First Team All-NBA Team later this year. The Clippers have had a nice year so far (20-13 and leading the Pacific Division) and at the same time without Paul, the Hornets have the 3rd worst record in the league. Last year’s New Orleans Hornets team featured a thin roster (David West was out with a torn ACL), and Paul still took a much better Lakers team to a 6 game series. Now that Paul has more talent around him (Griffin, Jordan, Butler, Williams, Foye, Martin) he’s shown just how great a playmaker he is in the NBA. This year Paul’s averaging 19.2 points per game while still dishing out 8.6 assists per game (4th in the NBA) and with Chauncey Billups out for the remainder of the year, the final shot for the Clippers falls on the responsibility of Chris Paul.Though he’s close to being considered the best point guard in the NBA, he’s still in my mind number two but close to being considered the best point guard in the league. 1. Derrick Rose: The progression Derrick Rose made last year was tremendous and he brought back the glory days of Bulls basketball, becoming the first Chicago Bull to start an All-Star game since Michael Jordan did in the 1998 All-Star game in New York. The MVP of the league last year defeated every team in the league at least once last year while averaging 25 points per game to go along with 7.7 assists. This year, Rose has missed a few games (10) due to back and toe injuries and even though Chicago holds the third best record in the NBA (27-8), the Bulls aren’t nearly the same time when Rose isn’t on the floor. This year, Rose’s points per game are a little down (21.8 points) but his assists are the same (7.7 per game). The Bulls along with all of Chicago knows that the team will only go as far as Derrick Rose takes them and if Derrick Rose’s health isn’t close to 100% by the start of the playoffs it will be tough for the Bulls to raise banner 7 from the rafters of the United Center. Dwight Howard will play for the _________________ next season. So here we go again…another offseason of wondering where Dwight Howard will play next year. Last off-season was tough for Orlando to trade Howard because they only had a little over a month to get everything in order and decide what to do with their star player: trade him, agree to an extension, or see how the season turns out and decide something by the trade deadline. As the NBA Trade Deadline 2012 came, the Magic and Dwight Howard agreed to a 1-year extension creating even more confusion throughout the NBA. A few days later, there was a report that Dwight Howard wanted Head Coach Stan Van Gundy fired, which created on of the most awkward press conferences in history of the NBA. A few weeks later, Dwight Howard’s 2012-year came to an end as he was forced to undergo back surgery and miss the rest of the season. 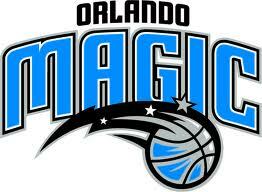 The Magic did eventually make the playoffs but were ousted by the Pacers in 5 games and not surprisingly a few days later, both GM Otis Smith and Stan Van Gundy were let go by the Magic, leading to a whole new management team in Orlando. The Magic have a few key questions they have to address during the 2012 offseason which include: who will the Magic hire as their GM and Coach? Will Dwight Howard be traded during the off-season? If he is traded where will he be traded during the offseason? If he’s not traded during the offseason, will he be traded during the season, or will the Magic allow for him to become a Free Agent during the 2013 offseason. In my opinion, I feel the Magic will finally throw in the towel and trade Dwight Howard this offseason for a few reasons. One, this offseason is different from the past offseason as now the Magic can discuss offseason trade ideas with all 29 other teams from now until the start of the NBA Season in about 5 months. Second, the Orlando Magic will soon have a new General Manager and I feel will want to completely start over with a full rebuilding process in Orlando. I feel whomever becomes the new GM in Orlando will look at how both the Nuggets (with Carmelo Anthony) and the Hornets (with Chris Paul) handled their situations and will try and emulate how they handled their situation with Dwight Howard. So the big question. 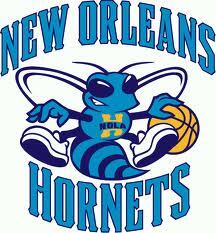 Do I feel Dwight Howard will be traded…Yes. However a few things have to happen before he is traded. For one, I feel every team needs to make sure Dwight Howard is healthy, as at the end of the season he had to undergo a back procedure. If he checks out, and everything looks good, then I feel this process will move quickly (just like the Chris Paul situation). And now the next biggest question: Where will he go? In the end, I feel the Nets will get the player they’ve wanted all along and will pair him with Deron Williams (whom I feel will resign with the Nets a few months into Free Agency) in Brooklyn. I feel the Magic will eventually accept a trade that will include Brook Lopez (sign and trade), Marshon Brooks, and the Nets 2013 and 2014 First Round Picks. I feel the Magic are finally starting to realize that they need to start over and rebuild this team from the start up. In addition to trading Howard, the Magic need to make sure they include eithor Hedo Turkoglu’s contract or the contract’s of Jameer Nelson and Quintin Richardson in any Howard trade. This trade will help them start the rebuilding process in Orlando, allow for them to get a few quality players, and trade a few bad contracts at the same time.